Dusty garnet black color. 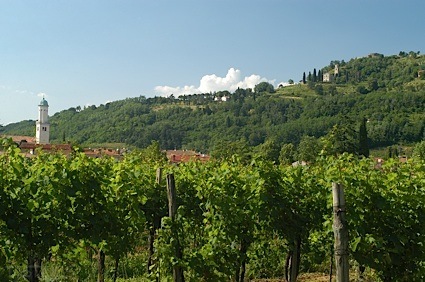 Bright, roasted aromas and flavors of grilled berries, dark roasted nuts, and hint of charcoal with a soft, vibrant, dryish medium-full body and a warming, elegant, crisp finish with overtones of roasted beets and sweet potato and delicate spice with well-integrated, silky tannins. A very nice and savory pinot noir that will be great at the table. Bottom Line: A very nice and savory pinot noir that will be great at the table. 86 • Cloak & Dagger 2010 "The Defector" Reserve, Zinfandel, Paso Robles 15% (USA) $36.00. 91 • Cloak & Dagger 2010 "Novos Ordo Seclorum" Cuvée Reserve, Paso Robles 14.5% (USA) $38.00. 91 • Cloak & Dagger 2012 "Pseudonym", Pinot Noir, Santa Lucia Highlands 14.5% (USA) $49.00. 92 • Cloak & Dagger 2012 "Foggy Bottom Reserve", Pinot Noir, Paso Robles 14.1% (USA) $65.00. 90 • Cloak & Dagger 2013 Foggy Bottom Reserve, Pinot Noir, Paso Robles 14.5% (USA) $65.00. 84 • Cloak & Dagger 2014 Illuminatus Reserve, Sangiovese, Paso Robles 15% (USA) $49.00. 89 • Cloak & Dagger 2014 The Defector Reserve, Zinfandel, Paso Robles 15.2% (USA) $49.00. 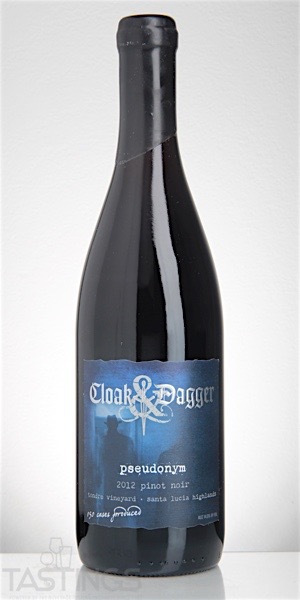 93 • Cloak & Dagger 2013 The Conspirator’s Reserve Fairbairn Vineyard, Syrah, Paso Robles 14.4% (USA) $36.00. 88 • Cloak & Dagger 2015 The Conspirator’s Reserve, Syrah, Paso Robles 14.9% (USA) $49.00. 92 • Cloak & Dagger 2016 The Conspirator, Syrah, Paso Robles 15.1% (USA) $49.00. 92 • Cloak & Dagger 2016 Espionage Red Blend, Paso Robles 14% (USA) $47.00. 92 • Cloak & Dagger 2016 Subterfuge Red Blend, Paso Robles 14.1% (USA) $49.00. 81 • Cloak & Dagger 2016 Deep State Red Blend, Paso Robles 13.9% (USA) $48.00. Cloak & Dagger 2012 "Pseudonym", Pinot Noir, Santa Lucia Highlands rating was calculated by tastings.com to be 91 points out of 100 on 5/10/2016. Please note that MSRP may have changed since the date of our review.